You no longer need to spend a lot of money to make and design beautiful jewelry; in fact, with these Delightful Dollar Store Crafts: 20 DIY Jewelry Projects, you will find that fun and gorgeous DIY jewelry can be made with affordable or recycled materials. Sometimes we want to make a craft, but when we go to the store, craft supplies can be more expensive than buying the product itself. With these fabulous fun crafts to do, you will never run into that problem. 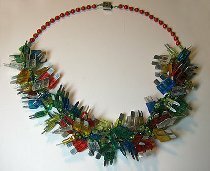 Plus, you do not have to shop at the dollar store for all these DIY jewerly crafts, as some of the supplies are recycled products; so, not only are you being thrifty, but you will be helping the environment as well. With these dazzling dollar store, you are destined to find at least one craft that you will want to try out. Once you make one of these fabulous DIY jewelry crafts, you are going to want to make them all. If you like these DIY Jewelry Crafts, then you will also like our free eBook, 12 Free Jewelry Projects to Make This Evening. Stun your friends with these brilliantly easy and budget-friendly bracelets. Bracelets are an easy way to dress up any outfit and since you will be able to see your DIY bracelets on your wrist throughout the day, you will feel proud to have made such stylish and creative bracelets. After making the earrings below, try designing more earrings with our 10 DIY Earrings: Chain Earrings, Metal Earrings, Wire Earrings, and More eBook. It is the perfect way to keep making your own homemade and stylish pieces. The easiest way to add a little design and color to any outfit is put on a pair of earrings. These five delightful dollar store crafts' DIY earrings are a perfect way to not only add some color to your wardrobe, but also some creativity. 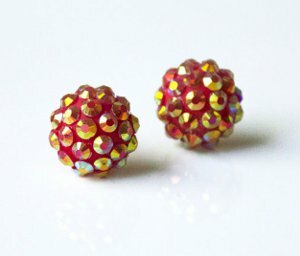 No matter what DIY jewlery project you decide to make, it is guaranteed to be a hit with these unique earring designs. 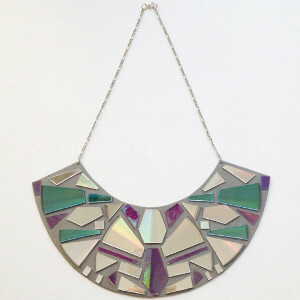 Have a little fun without making your wallet lighter by designing any one of these five necklaces. These delightful dollar store crafts use materials like old t-shirts, discarded office supplies, books, and CDs. Any of these enjoyable and simple-to-make DIY jewelry projects will bring some color and originality to your crafting. 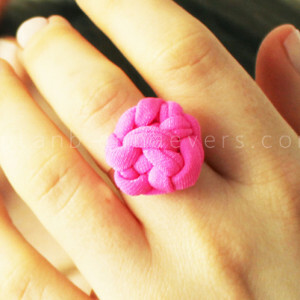 Look no further than these delightful dollar store crafts for cute and innovative ring ideas. 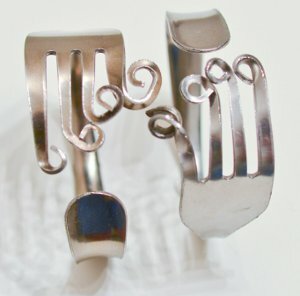 With ring ideas for all ages, these simple, no-fuss DIY jewelry projects are fun and easy to make. Each of these five unique and radiant rings add something different at an affordable price. You do not have to wear a diamond ring to be stylish or radiant; so, try one or all of these rings. 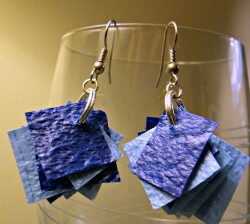 If you were a fan of any Delightful Dollar Store Crafts, then you should try some of the tutorials in our Chic Recycled Crafts: 14 Recycled Jewelry Tutorials.